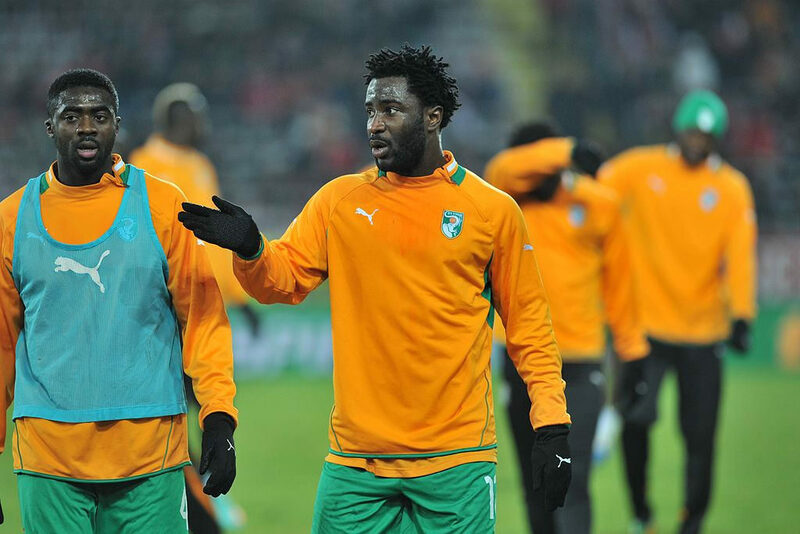 You are here: Home / Articles / Wilfried Bony – Will he go or will he stay? Wilfried Bony’s second spell in South Wales could be short-lived, given that the club has intimated it will listen to offers for the former Stoke City and Manchester City powerhouse. Nevertheless, Bony has a strong affinity with the Swans. It was City who gave him a shot in the Premier League, snapping him up from the Dutch side, Vitesse Arnhem, in 2013. Given that Bony has had a big-money move to Manchester City, at the age of 29, the Ivorian might put his career over wages at this stage. There were quite high hopes that Bony could be the catalyst for a Premier League survival bid last season. Fernando Llorente’s departure to Tottenham paved the way for Bony’s return, and the Swansea faithful were hoping he could replicate his 2013-15 form. Alas, with only two league goals in 15 games, a season-ending knee ligament injury put paid to his campaign prematurely, leaving the Swans even lighter in an attack. Bony may well feel that he owes it to the club to try and help them back to top flight. Furthermore, given his rather shot-shy displays for Manchester City and Stoke City, he may not have many potential top-flight suitors. Swans supremo Graham Potter could be faced with a heads-up situation with Bony across the negotiating table. The former Östersunds FK legend will have to channel his inner poker player to test the water as to the Ivorian’s desire to slug it out in the Championship. Much like any successful poker champ that tries to keep their cool, Potter will take his time to look into the whites of Bony’s eyes and get a real feel for his intentions. Potter has gone to great lengths to insist that the club must cut its cloth accordingly given last year’s relegation. The bookies aren’t convinced that the club is able to bounce back immediately to the top flight, having placed the Swans only as the seventh favourites for the Championship title. The departure of striker Andre Ayew on a season-long loan to the Turkish outfit Fenerbahçe S.K and the likely sale of his brother, Jordan, could give Bony a shot to prove his worth, despite being one of the top earners at the Liberty Stadium. The club’s one-time record signing, Borja Bastón, has already agreed a second season-long loan spell with a La Liga club this term in the shape of Deportivo Alavés. There’s no doubt that the Ivorian’s power and presence would make for the ideal focal point in a Championship forward line. Potter will need to judge Bony’s condition once he is 100 percent recovered from his anterior cruciate ligament injury. Bony was not considered ready to travel on the club’s preseason tour of Germany and Austria, along with defender Alfie Mawson and Sam Clucas. Both Mawson and Clucas have also been linked to moves away from the club this summer, and injuries have prevented them from having the opportunity to integrate into Potter’s new-look squad. With Lukasz Fabianski and Roque Mesa already off the wage bill, and Alfie Mawson, Sam Clucas and Federico Fernández all linked with moves away, the Swans parachute payments might make it possible for Bony to stay for one more season. The club’s chairman, Huw Jenkins, has received plenty of criticism regarding his transfer dealings during the last couple of seasons, and one way for Jenkins to placate the supporters would be to keep Bony on the side as a proven match-winner to kick-start a promotion bid.